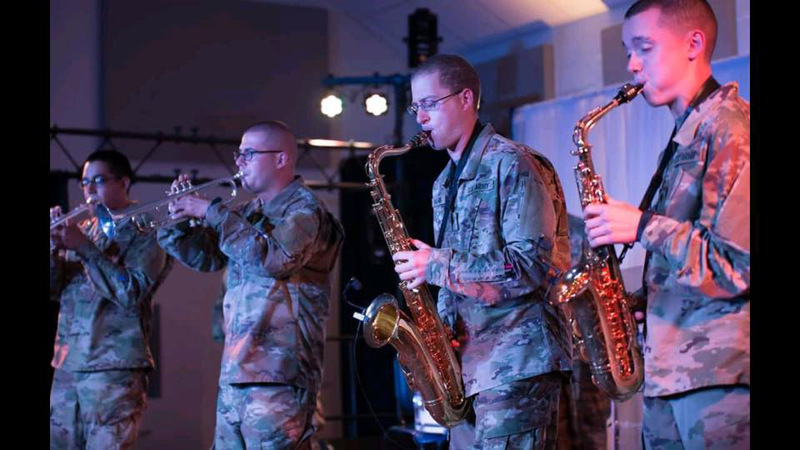 Ryan Dupuis ’16 (second from right) performs in the Army School of Music. Forces often pull Ryan Dupuis ’16 in opposite directions. A love of science brought him to Lafayette. After he graduated, a passion for music blew him a thousand miles west to Colorado. There, stronger pulls—his love of family and country—have helped Dupuis take an unexpected third path. He’s serving in the U.S. National Guard. He carries a rifle. He also carries a trumpet. 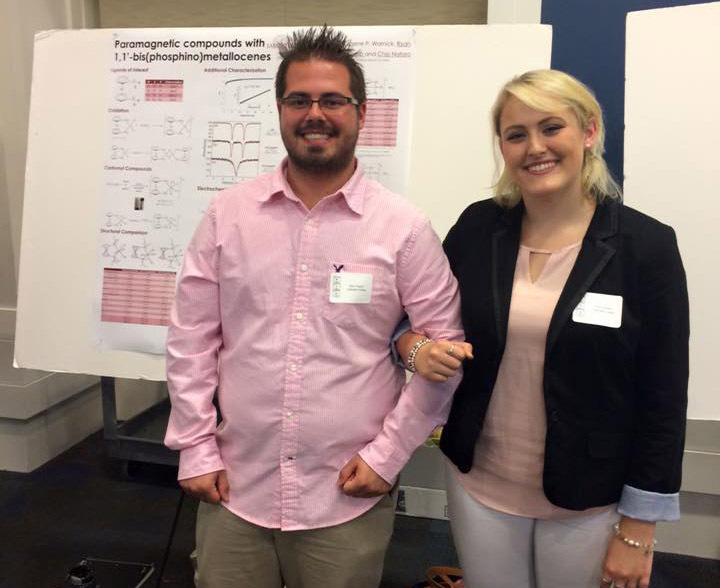 The Bethlehem, Pa., native has been enthralled with chemistry since high school. 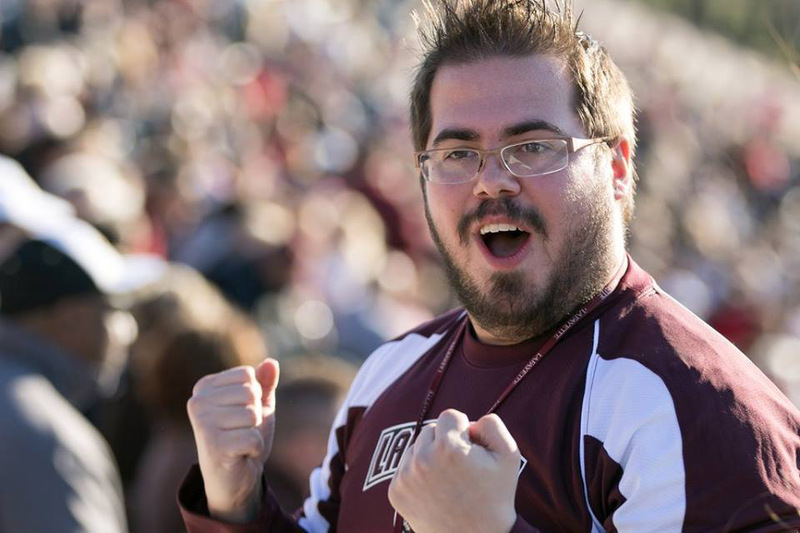 Six years ago, he enrolled at Lafayette with plans to become a chemical engineer. Then, he discovered he liked the science of chemistry, enjoyed working as a teacher’s assistant, and soon shifted his efforts to becoming a chemistry teacher. But by then Dupuis had fallen in love. He’d enjoyed playing the trumpet since fourth grade, but at Lafayette he became “super involved” in music. 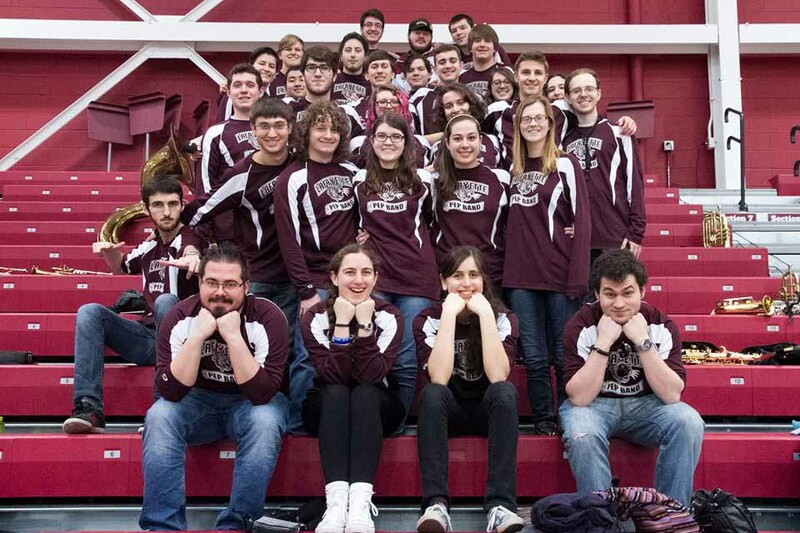 He joined the pep band and eventually became its conductor and vice president. He also played in and conducted the concert band, and performed in the jazz ensembles and combos. “Everything I could,” he says. At the same time, Dupuis was in a quandary. The pressures of chemistry were many, but his heart belonged to his trumpet. Rather than chasing two passions, Dupuis opted for both. He dropped the idea of obtaining a Bachelor of Arts degree with a major in music on College Hill. After obtaining his chemistry degree from Lafayette a year ahead of schedule, he enrolled at University of Colorado at Boulder to obtain an additional bachelor’s degree in music education. The idea, Dupuis says, was to enter the world of teaching as a double threat: While schools across the nation are slashing arts funding, his dual degrees could enable him to work as a band-directing chemistry teacher, or a music teacher who can shed his marching band uniform for a lab coat. Or, who knows? A hybrid of both? Then, at Colorado, another opportunity marched in. The 101st Army Band, the musical outfit of the Colorado National Guard, circulated word that they needed musicians. 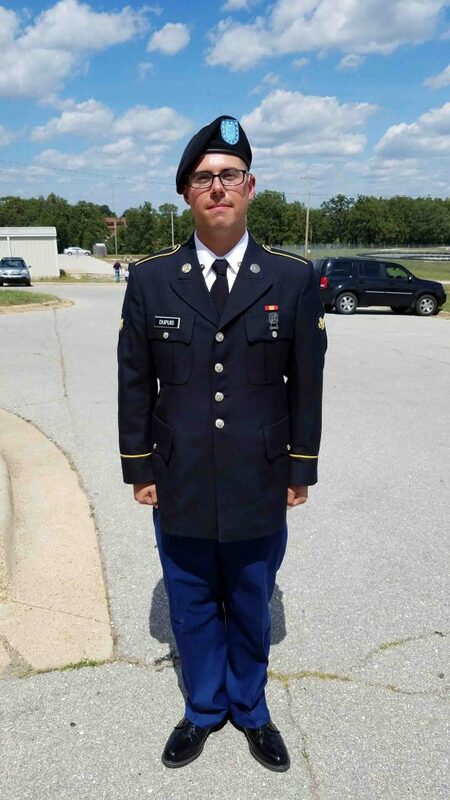 He auditioned, passed, and joined the National Guard. He did his basic training in Missouri. After that, he flew east again, where for 10 weeks he trained at the Army School of Music in Virginia. Here, musician-service members keep up rigorous physical training regimens along with practice and musical instruction. “They’re really high-caliber musicians,” Dupuis says of others he met in the program. Many are high school teachers who, like him, are looking to devote their talents to a higher cause. In November, Dupuis returned to University of Colorado. Once a month, he drills with the National Guard. He and the 101st Army Band perform throughout Colorado at community events. They tour in the summer. By next year, Dupuis plans to be certified to teach science in Colorado schools for grades 7-12 and in music for grades K-12. And he plans to make a career of military music, as well.